The prevailing thought I kept having while watching the twee indie romance (?) 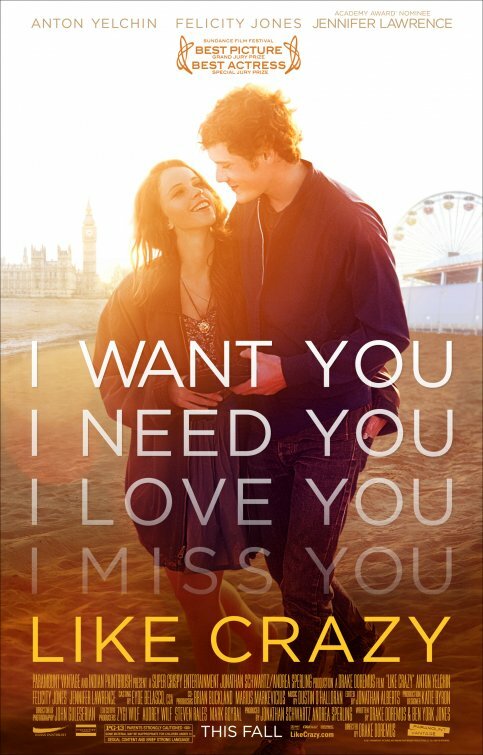 Like Crazy was that this is like stupid. I spend fifteen minutes with the young happy couple, Jacob (Anton Yelchin) and Anna (Felicity Jones), and then there’s already trouble. Rather than have to wait two and a half months to see one another again (a.k.a. eternity), Anna decides to overstay her visa because it’s not like that would be taken seriously in a post-9/11 world. Naturally, there are repercussions and Anna is banned from reentering the U.S., effectively putting a hitch in her romance. It’s such a short-sighted, impulsive, boneheaded decision, and it’s one that completely made me lose all sympathy for a couple that couldn’t bother to be apart for a mere two and a half months. Jacob and Anna try and hold it together but the constant starting and stopping, as well as the comforts of people closer, provide major roadblocks. I’m not a hardhearted person; I’m a sucker for a good romance. Many of my favorite movies of the past few years have strong romantic elements (Eternal Sunshine, Once, Moulin Rouge, WALL-E), but I felt next to nothing for this whiny, pitiful couple. First off, they’re only together for fifteen minutes before being ripped apart, which doesn’t exactly allow me enough time to emotionally engage. And then there’s the fact that these “crazy kids” have absolutely no passion between them, no spark, no nothing that would compel them to be together against all odds. You don’t feel anything approaching romance. And to top it off, Jacob has a perfectly lovely, charming, and available alternative played by the lovely and charming Jennifer Lawrence (The Hunger Games). She even makes this doofus breakfast in bed. 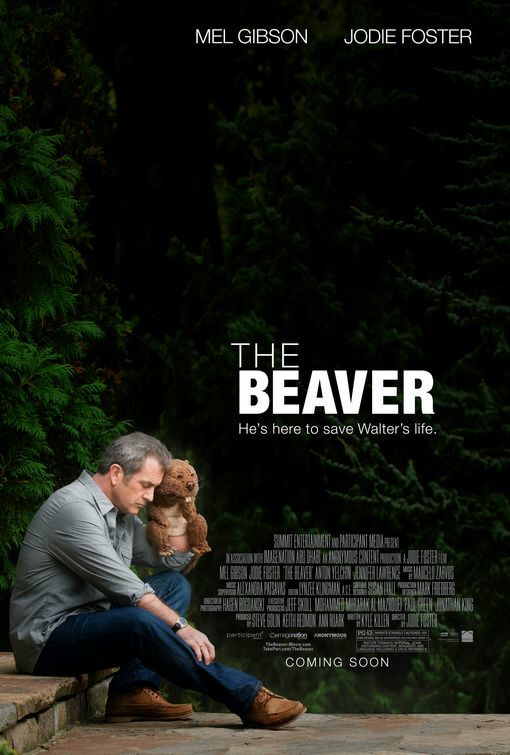 This movie felt like an entire montage of small moments that never accumulated into anything believable or compelling. I’ll take Lawrence and breakfast in bed and be grateful. The fourth Terminator movie ultimately comes across as a lifeless enterprise. It’s set during the war between man and machine, which means John Conner (Christian Bale) is leading the human resistance, as was prophesied. 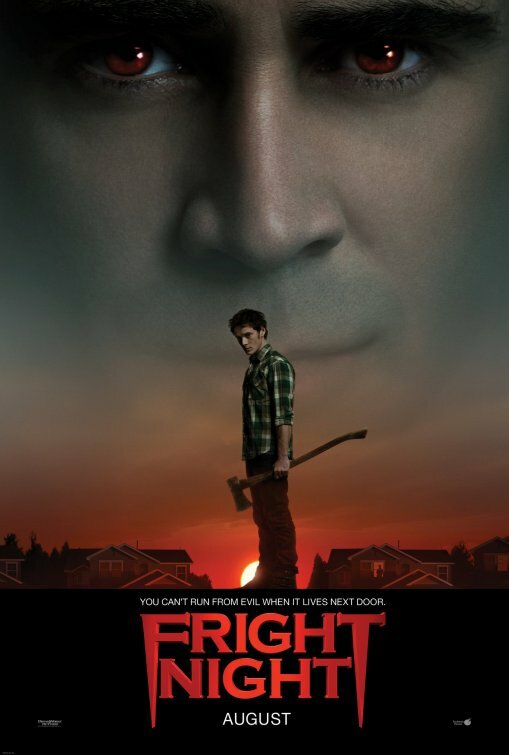 He must stop those crafty machines from finding and killing Kyle Reese (Anton Yelchin), who is destined to be sent back in time and become Conner’s father. The storyline focuses a lot more attention on the mysterious man Marcus (Sam Worthington), who isn’t so mysterious because they give away in minutes that he’s a machine. But he’s a thinking machine that reclaims his humanity, or whatever. The point of this movie is to make some cool action sequences and not step on the toes of the previous movies. Director McG (Charlie’s Angels) has a few nifty visual tricks up his sleeve, but this is one soulless machine just going through the Action Blockbuster subroutine. The character development is nil, the story is muddled, the machines are dumb, and Bale forgoes any normal kind of speaking voice in favor of growls and hissing. The throwbacks to the other movies can be fun (a 1984-aged Arnold!) or agonizingly lame (shoehorning in famous quotes like, “I’ll be back”). The movie is competent and has one or two exciting chase sequences, but that is simply not good enough coming from this storied action franchise. Terminator Salvation plays out more like Transformers, where the robots are big and bad and loud and sort of dumb. I guess that sums up the movie pretty well. Star Trek has a hold on geek culture like no other franchise. It’s lasted over forty years, sustained five television series, and ten feature films (about four of them good), and let’s not forget the plethora of fanatical merchandise that includes everything from Trek cologne to Trek coffins. Star Wars has all the box office clout, but Trek has followers so devoted that they will create and learn a separate language, Klingon, that almost assuredly will never be spoken by anyone else outside of the festival circuit (you will never see a written Klingon exam that asks you “Where the library is?”). The Star Trek fans have been a foundation of geek culture for over four decades. People take this stuff very seriously. Trek has always been a headier brand of sci-fi, more devoted to ideas and moral dilemmas than shoot-outs and space chases, though Captain Kirk did teach the universe how to love, one green-skinned buxom alien babe at a time. 2002’s abominable Star Trek: Nemesis was meant to open up the franchise to a wider audience, but the film was the low-point for a franchise that also included William Shatner writing and directing the fifth flick (Nemesis also broke the odd/even movie curse). When director J.J. Abrams approached Star Trek with the purpose of reinvigorating the flagging film series, you would think the man would wade into such a storied franchise with trepidation. Nope. He openly said he was making a “Star Trek movie for people who weren’t fans of Star Trek.” He was even going to change Trek canon. I imagine Trekkies (and no, I will never use the preferred nomenclature “Trekkers”) were nervous about an outsider, the author of the cinematic classic Gone Fishin’, meddling with hallowed ground. As I suspected, these fears were unfounded. The newest Star Trek does more than put a new coat of paint on an old franchise. This movie boldly goes where none of the Trek movies have gone before — turning reverent geek culture into a grand populist entertainment smash. This new incarnation looks backwards, explaining how the crew of the U.S.S. Enterprise came together. 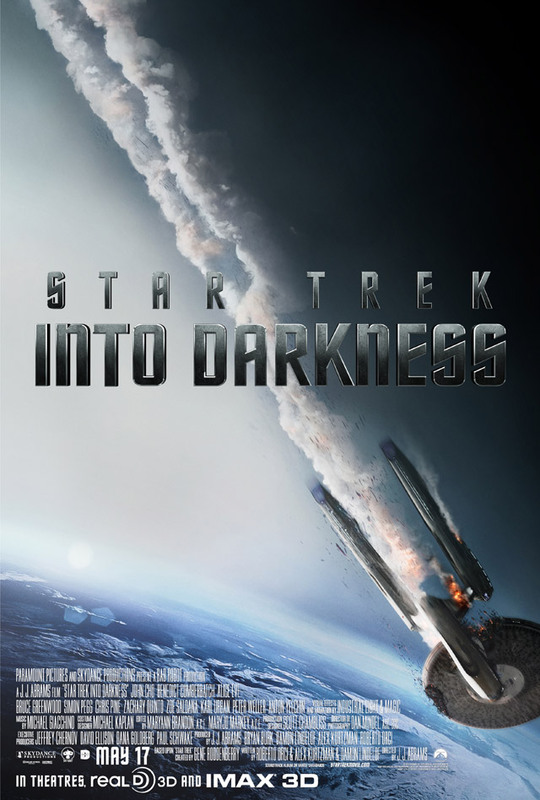 The movie shows the path of Jim Kirk (Chris Pine), from troubled youth to eventual starship captain. Kirk’s father captained a starship for about 10 minutes, but he managed to save 800 lives under attack, including the birth of his son. Captain Pike (Bruce Greenwood) recruits Kirk to Starfleet Academy with the promise of doing something more with life. We also witness the boyhood of Spock (Zachary Quinto), who is teased for being half-Vulcan and half-human. His human mother (Winona Ryder) encouraged Spock to embrace his human emotions instead of cutting them off, Vulcan-style. Kirk and Spock clash at the Academy, and then an emergency requires all the recruits to saddle up for their first mission in space. Nero (Eric Bana) is a dastardly Romulan who has traveled back in time. In the future, he blames an older Spock (Leonard Nimoy) for the destruction of his home planet and the deaths of billions of Romulans. To ensure this does not happen, Nero is going to eradicate Starfleet home planets, starting with Vulcan and then Earth. J.J. Abrams is a geek’s best friend. He understands geek culture, and yet the man is able to take genre concepts and make them easily accessible to the unconverted while still making a finished product that is respectful, playful, and awesome. Abrams is an expert on the pop culture catalogue, and he knows how to make genuinely entertaining productions that succeed on brains as well as brawn. He brought tired spy conventions into the twenty-first century with the cool, twisty Alias and Mission: Impossible III, which was really an extravagant two-hour episode of Alias, and I mean this in the best way. He has an innate understanding of action sequences and knows well enough that an audience needs to be engaged emotionally, so he makes the action as character-based as much as possible. Abrams has a terrific imagination behind the camera, and he reminds me of a young Steven Spielberg in his ability to marry artistic integrity with big-budget crowd pleasers. Abrams and his screenwriters Alex Kurtzman and Roberto Orci (Transformers, TV’s Fringe) have crafted a stellar Trek that will appeal to die-hards and those who couldn’t tell a Romulan from a Vulcan (I fall somewhere in between). The time travel storyline could have used more juice, however, it serves its purpose by establishing a parallel Trek universe to work with. Beforehand, Trek had established so many previous stories that it hamstrung writing new stories because they had to be extensively researched to make sure they did not conflict with 40 years of canon. Abrams and company wrestled free from the grip of the established history and can now play around unencumbered to a degree. I mean, fans don’t want to see something radically inauthentic, but Uhura and Spock as a couple? Sure, why not? The fan favorite character catch-phrases (“She’s givin’ it all she’s got,” “Dammit Jim, I’m a doctor?,” etc.) are organically worked into the story so that they don’t become falling anvils. Star Trek‘s pacing can be whiplash inducing. It speeds through two hours of action and setup while still maintaining an emotional connection to the characters involved. The movie has a boyish enthusiasm for adventure and it’s fun watching well-known characters assemble and amble into new and interesting directions. The action is routinely thrilling and I enjoyed Abram’s small touches, like watching a crew member get sucked out into space and cutting all sound to illustrate the cold, empty vacuum. The amount of humor injected into the movie can be distracting at times, not because it isn’t funny but because of the brisk tone breaking. One second it’s a life-or-death scenario and the next Kirk is running around with giant goofy hands. Still, it’s good to see some humor in the Trek universe that isn’t related to alien culture clashes. The young ensemble is amazingly well cast. I didn’t think a younger generation of actors would be able to step right in and play such lived-in characters, but they pull it off. The hardest shoes to fill are unquestionably Kirk’s, and Pine (Smokin’ Aces, Just My Luck) carries that same cocksure bravado without stooping to a stilted Shatner impersonation. His performance feels at times like Han Solo and Luke Skywalker rolled into one, and he’s an appealing presence that captures the essence of a dashing and rebellious scrapper. This Kirk is still an adventure-seeking, skirt-chasing 1960s kid at play. Quinto (TV’s Heroes) is blessed to look remarkably similar to Nimoy, but the actor also gets to explore the human side of Spock. He feels compelled to harness emotion, like all Vulcans, yet it’s intriguing when certain emotions slip out and build a bigger picture about what’s going inside the mind of a being dominated by logic. Quinto has less to work with by design and yet the man finds interesting ways to ensure Spock can be recognizable. Each of the supporting actors has their moment, but my biggest surprise was Karl Urban as Dr. Leonard “Bones” McCoy. Urban has mostly been confined to lame action movies as of late, like Doom and Pathfinder. But he’s really funny and his performance captures DeForest Kelly’s mannerisms down without turning into a caricature. If there is a main weakness to Abrams’ Trek outing it’s that it feels far more like the opening act of a larger movie. Nero is a fairly weak villain, though Bana gives him a nicely polished glower. The villain is really just a tie-in for the time travel storyline, which is also a narrative quirk to secure an open field for further stories. Meaning, that much of the movie can be seen as assembling the pieces to simply move forward on their own. It’s an expensive set-up movie, and Abrams makes sure that the audience sees every dollar of the splashy visuals onscreen. Personally, I was also getting tired of the cinematography decision to fill the screen with as many light flares as possible. It seemed like every other moment had a blast of light beam in from some direction. After a while it sort of felt like an eye exam where the optometrist shines a flashlight back and forth. And it takes far too long for Scotty (Simon Pegg) to appear in the movie. J.J. Abrams does more than hit the restart button. He has made a Star Trek that manages to be respectfully reverent but at the same time plays along to the mainstream visual sensibilities of modern cinema. It’s fun without being campy, reverent without being slavish, and this Trek never forgets to entertain from the opening assault on a starship to the Michale Giacchino’s closing credits score. This is an enjoyable rush of sci-fi escapism. The Star Trek series was always deeply hopeful and humanistic, believing in the best for humanity and that man, in cooperation, could achieve greatness. I think further escapades with this cast and Abrams at the helm could reach greatness. For now, I’ll be happy with this rollicking first entry into a franchise that seemed adrift in space. Bring on more of the green-skinned women. One part navel-gazing, one part slow-moving train wreck, director Nick Cassavetes (The Notebook) long-in-the-works true-life saga about a bunch of suburban wannabe gangsters is something of a chore because you want to punch every character in the face at multiple times. The tale revolves around a kidnapping that spirals into the brilliant notion that the best way to avoid jail time is to kill the kidnapee, never mind the fact that dozens of eyewitnesses can place kidnappe to kidnappers/eventual murderers. These kids are dumb and caught up in their machismo. Alpha Dog resembles, in many ways, Bully, but that film felt more authentic in its lascivious lifestyle. Justin Timberlake proves that he can be a decent actor, which is more than what can be said about Sharon Stone, who in one highly regrettably but unmissable moment, dons a fat suit, overacts like hell, and breaks down altogether. It’s stupefying to watch and simultaneously the high/low point of the flick.